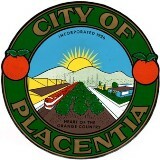 Arrested for DUI in Placentia? If you were arrested for a DUI in the city of Placentia contact the Law Office of Barry T. Simons to assist you on your case. You have 10 calendar days to contact the DMV to request a hearing. The importance of this hearing cannot be overstated. A failure to schedule a DMV hearing during the allotted 10 day period will result in your license being suspended for anywhere from 30 days to one-to-four years depending on the facts and circumstances of your Placentia DUI case. The attorneys and staff at the Law Office of Barry T. Simons have the experience to help those arrested in Placentia for a DUI and/or the surrounding areas in Orange County. A Placentia DUI will likely be heard in the North Justice Center Courthouse. Our firm has attorneys that are familiar with the judges and prosecutors in your case. We will guide you through the process at the DMV and in court and try to examine every defense available to win your case. If you have no idea who to hire or what steps to take, the first thing you will need to do is find a qualified Placentia driving under the influence lawyer who knows how to defend your Placentia DUI case. You need to do this as quickly as possible so that your DUI attorney will be able to use as much of the time before the hearing as possible to prepare your defense. Although the hearing is not the same as the trial, it is important that you schedule one in order to avoid the suspension of your license. In addition, it is an opportunity for your Placentia DUI lawyer to question the arresting officer or any other witness, as well as produce evidence and present witnesses on your behalf. Regardless of the outcome, the hearing is an essential part of a good DUI defense. The difference between the trial and the hearing is that your attorney will have more time to work on your DUI defense before trial. The end result will be an acquittal or a conviction. An experienced Placentia DUI Attorney will be able to find and investigate witnesses who can help your case, including expert witnesses. Remember, even if you have a Blood Alcohol Content (BAC) that is higher than the legal limit (.08 or higher), there are many legal reasons that may explain this. Your case isn’t “hopeless” just because you were above 0.08% at the time of the breath or blood test—the determining factor is whether you were above 0.08% at the time of driving. As long as you have the services of an experienced Placentia DUI attorney, you still have a chance of being successfully defended against the DUI charges. Breath testing is not a precise measurement of one’s true blood alcohol level. Moreover, the device may not have been properly maintained or calibrated so that it isn’t working as well as it should. Even when it is in excellent working order, there is still a .02 margin of error that can make a significant difference in the final reading. If you have a BAC at the legal limit of .08, your real BAC may be 0.06%, well below the legal limit. The law requires those who are taking administering a breath test to observe you continuously for 15 minutes beforehand in order to prevent mouth alcohol. If the operator fails to follow this requirement, the breath test may be considered invalid. Even those that are given the required observation may have medical conditions that prevent them from being a good candidate for taking the breath test. This includes heartburn, gum disease and bad bridgework, to name just a few. Be certain that you let your Placentia DUI lawyer know if you have any medical conditions or are taking any medications prior to the trial. Additional factors that can influence the result of the breath test and will cause an inaccurate BAC reading are interference with radio frequency interference, a higher-than-average body temperature, or having the test administered less than two hours after your last drink. Finding a qualified Placentia driving under the influence attorney to defend you will make it easier for your representation to use the facts to build your defense. If, in spite of their best efforts, your case is not dismissed, you may be convicted of DUI. A conviction for driving under the influence in Placentia can have a serious and lasting impact on your life. Depending on your circumstances, you may be unable to drive for an extended period of time, face jail time or have other severe penalties imposed on you. In addition to sentencing guidelines that are used to determine the punishment for DUI cases, there will also be other considerations to play a role in how severe that punishment is. Your Placentia DUI attorney will talk with you about the potential outcome of your Placentia DUI case and some strategies for defending yourself against the charge of DUI.